20 Years of Experience in the field of Obstetrics&Gynecology – High risk Obstetrics. Special Interest in treatment of infertile couples. Dr. Prajual Hedge is the most wonderful person whom I have ever seen. I hope if all the doctors are so caring and compassionate. The nurses were also too dedicated and delivered the best care. I am too happy and healthy. Thanks Apollo Cradle. I had the best treatment at Apollo Cradle. Initially I was confused but with the good reviews and feedbacks I was into Apollo Cradle where I felt and self-appreciated for choosing the best place for my baby’s arrival. My family and friends are also too happy seeing me healthy and fit. The pregnancy care tips and other special care delivered by Dr. Prajual were amazing. I was admitted to Apollo Cradle for my delivery. My experience was a memorable one. All the doctors were very attentive and kind. Special mention to Dr. Prajual who had comforted me throughout my stay. I was in a deluxe room which was very clean and neat. I just loved the ambience and superior services. Thanks to the whole team. I am thanking Apollo Cradle for giving me the best care. I and my baby are very healthy. 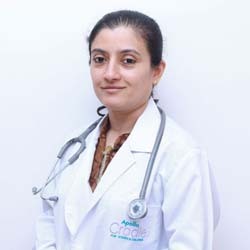 Dr. Prajual had given me the best pregnancy care by which I am healthy enough and regained myself. I will strongly say “choosing Apollo Cradle is the wise thing you can do for yourself”. Under the supervision of Dr Prajual Hegde, my procedure turned out to be very comfortable and cosy. The place was more like a home than a hospital. I could barely feel the difference. I am going to recommend Apollo Cradle to everyone who is looking for the best hospital. We can’t thank you enough for your caring, calm, and wise support in helping us to get started as a family! My delivery was done under the care of Dr Prajual hedge. Apollo Cradle had always been bliss and the second time experience here turned out to be even better than the first. I shall forever be thankful to the place and the staff for their immense support. They have a truly loving spirit of helping others with words! I was admitted to the Koramangala clinic under the care of Dr Prajual S Hedge and I must say the clinic meets the expectations. The premises are clean and hygiene is maintained. The housekeeping staff maintains the room and hospitality is on point. The nurses make you feel comfortable and doctors are dedicated towards their work. The management is great and admission and discharge formalities are completed timely. I will recommend this further to my friends. I have been to Koramangala clinic before and this was my second time. The services were as good as previously. Dr Prajual was very cooperative and nurses took care of the needs. The rooms were well lit and ventilated with AC. It had an attendance couch and housekeeping made toiletries readily available. The front desk team was very helpful during admission and the final billing and discharge formalities were carried out smoothly. I am highly impressed with the quality of services I received at the Apollo cradle, Koramangala where I was admitted for my delivery. Dr Prajual and his team left no stone unturned to make us feel at ease. The staff was very friendly and available when needed. Ambulance availability, Quality food, well-maintained rooms, clean washrooms, everything was good. Even the discharge was done on time. Good job! I visited the Apollo cradle, Koramangala for delivery as it is near my place. My overall experience with Dr Prajwal Hegde has been great. I was satisfied with the services provided by the PRO, front office during admission, the doctors and nurses during treatments and in recuperative phase and discharge formalities. The staff makes your time very comfortable. I would surely recommend this clinic to others. We’d an awesome experience consulting Dr. Prajual Ma’am at Apollo Cradle. She has been a great source of support during this journey of motherhood. We would like to thank the management for their exceptional service. Apollo Cradle makes sure they deliver eternal joy to their customers with their personalized care. Thanks for everything. Thank you so much Apollo Cradle for everything. The doctors, sisters and housekeeping staff are the right support system a patient needs, especially when the patient has been admitted for delivery. The hospital is very neat and clean, and I\’d like to thank the management for taking good care of everything. Overall satisfied with the experience.Would like to specially thank you. She has been a wonderful support to us. And we have recommended her to few of our friends and will definitely keep recommending her in future. A special mention of Rama S and Sunita for their good cordial service. The experience was Fantastic at Cradle Koramangala; Thanks to my doctor. Service is excellent; the staffs is very friendly and co-operative. They attended well with proper response. Doctors explained all the info needed Nurses and support staff were friendly and well behaved. Attended the patient and baby well.